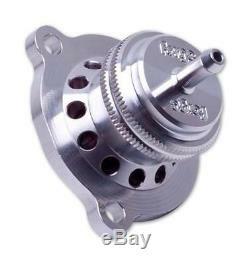 This is a piston design blow off valve that is a direct replacement for the original fitment. This valve gives greater longevity than the diaphragm (OEM) valves but also benefits from its ability to be fitted with different springs when the boost pressure has been increased or the engine has been modified. To ease installation the top or vacuum connection is angled. We are dedicated to ensuring the highest possible quality service to our customers, always going above and beyond! See the tabs below for more information about us and our policies. You must take reasonable care of the goods and immediately return them at your own expense. Please ask for a "Proof of posting certificate" as we cannot be held responsible for goods that go missing whilst in transit. If you think weve sent you the wrong item or size, please double check the full description in the listing, including the UK size before requesting a return. The item "FORGE ATMOSPHERIC DUMP VALVE for FIAT PUNTO EVO 1.4 MULTIAIR TURBO FMDVF14A" is in sale since Tuesday, February 5, 2013.